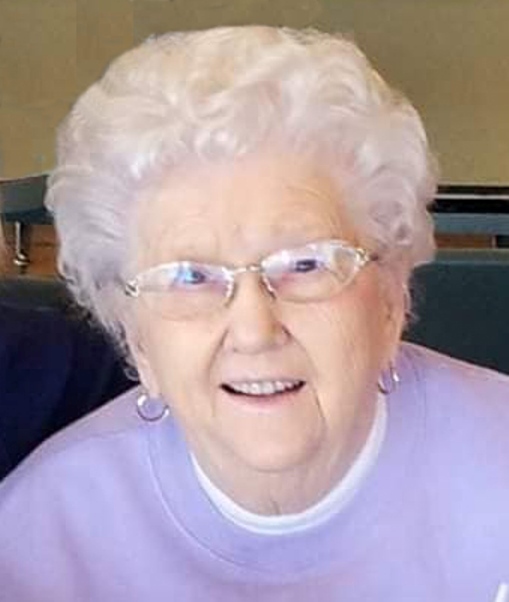 Ruth E. “Ruthie” Williams, 87, of Rock Island, passed away peacefully, Monday October 29, 2018 at Heartland Health Care Center, Moline. Services are 11:00 a.m. Saturday, November 3, at Wheelan-Pressly Funeral Home and Crematory, 3030 7th Ave., Rock Island, with visitation one hour prior to services. Burial will be at Greenview Memorial Gardens, East Moline. Memorials may be made to the family to be designated later. Ruth was born May 27, 1931 in Cordova, Illinois, a daughter of Scott and Elnora Hansen Craton. She graduated from Cordova High School. Ruth and Robert E. Willams were united in marriage on January 23, 1956. He preceded her in death on March 25, 1995. Ruth waitressed at the former Hunter’s Club, Rock Island for 25 years. She retired from Experienced Works, where she was a greeter at the unemployment office. Her family was her greatest joy. She loved being together for family events and attending her grandchildren’s events. She will be fondly remembered as a loving wife, mother and grandmother. Her favorite pastimes were reading and talking with family and friends on the phone. Surviving are her daughters and sons-in-law, Susan and Robert Heston, Rock Island, Nadine and Harold Ford, Moline, Judy Neuleib, Rock Island, and Jeanette and Al George, Prophetstown, Ill.; 11 grandchildren; 21 great grandchildren; 3 great-great grandchildren; sister, Shirley Redell, Geneseo, Ill.; brothers-in-law, Bill Coate, Albuquerque, N.M., Kenny Edie, Cordova and Bud (Wendy) Williams, Colona, Ill; sister-in-law, Carol Craton, Moline; and numerous nieces, nephews, and other family. Ruth was preceded in death by her parents; husband; son, Victor Williams; son-in-law, Loren Neuleib; brother, Kenneth Craton; sisters, Metta “Dolly” Hansen, Donna Coate and Mae Edie; and brothers-in-law, Pete Redell and Lou Hansen.